Part-time higher education for your Engineers, Computer Scientists and Economists on the KIT Niveau! The Technology Business School in cooperation with the KIT for strategic personnel development and recruiting Experts. Are you looking to hire professionals? 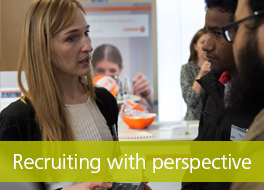 Gain a competitive advantage by recruiting with perspective. Programs offering life-long learning are often a key issue for employees when choosing a new company. Retain your professionals and help them become decision-makers of the future. Make use of the latest research findings of the KIT by letting your employees adapt the results for the benefit of your company. 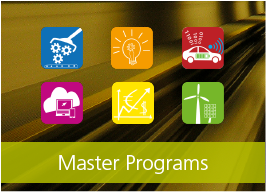 Up-to-date technology expertise within 3-5 days: Our compact further education courses in the fields Energy, Digitalization, Mobility, and Industry 4.0 are tailored for engineers and computer scientists. 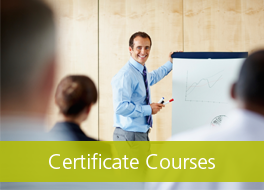 Learn more about our Certificate Courses! 6 different Master Programs combine technology and management know-how in a new, holistic approach. Learn more about our Master Programs!